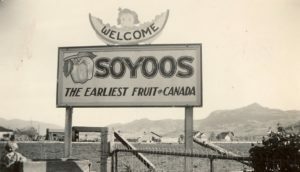 With a long, rich history, a vibrant arts community and many cultural traditions, activities and amenities, Osoyoos has much to explore and discover. Our cultural arts and history are best experienced firsthand with a visit to our local museum. A visit to our arts centre, attendance at a live sporting event or one of our musical performances will give you some wonderful local cultural flavour. Of course, if you lean to even more passive pursuits, you can always spend time relaxing on the beach or by a cozy fire depending on the season, enjoying a fine local wine and working your way through the bestseller book lists. Okanagan Lake and the Okanagan River served as traditional transportation routes of the Syilx or Okanagan people and their traditional boundaries encompass this area. Local excavations and pictographs found in the region reveal a prospering culture dating back thousands of years. They lived a seminomadic hunter-gather lifestyle, living on deer, salmon, rabbits and other wild meat as well as roots, berries and various plants. Smoked Chinook and sockeye salmon, dried berries and roots served as winter supplies. Traces of winter camps still dot the valley. A versatile people, certain plants served as medicine, cottonwood trees made ideal canoes and home construction utilized traditional materials. Generations travelled widely by horse and canoe throughout the region trading with First Nations neighbours. The natural ford at Osoyoos Lake, used as an ancient crossing place and a significant fishing spot for the Syilx people, is now bridged by Highway 3. The Osoyoos Indian Band, one of seven member bands in the Okanagan Nation, has a proud and independent history in the Osoyoos and Oliver area. The band continues to play an integral role in the community, adding not only an invaluable richness of heritage, culture and arts but also economic influence, operating several successful businesses. Learn more about the Syilx culture, legends and people through interactive activities and programs with a visit to Nk’Mip Desert Cultural Centre, and see actual artifacts at the local museum. This state-of-the-art interpretive centre is an architectural marvel, sensitively constructed into a hillside at Nk’Mip Resort. Extensive indoor and outdoor exhibit galleries create a fun, interactive learning environment with hands-on displays, education stations and two multi-media theatre experiences. 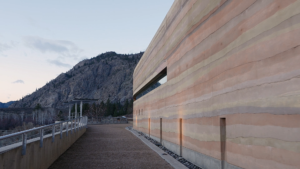 You will discover indoor and outdoor nature and cultural exhibits that showcase desert ecology and wildlife and the history of the Osoyoos Indian Band. You can even get a close look at a rattlesnake or sign up for a hike/rappelling excursion in the desert. Complete your visit by stopping in Coyote’s Gifts to shop for unique Aboriginal crafts, jewelry and gift ware. Spotted Lake is a small lake rich in a variety of minerals, including calcium, sodium sulphates and magnesium sulphate. During the hot summer months, much of the water in the lake evaporates, leaving concentrations of these minerals that form the spots visible in the lake. Throughout the summer, the spots shift in size and colour as the minerals within each change with further evaporation. Colours ranging from blue to green to yellow appear, depending on the mineral makeup of each individual spot. 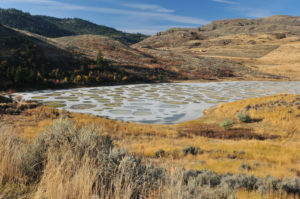 Spotted Lake is known to the First Nations People of the Osoyoos area as Kliluk, and it is a sacred site that has been considered a revered place of healing for centuries. The belief is that each of the different circles holds its own unique medicinal and healing properties. 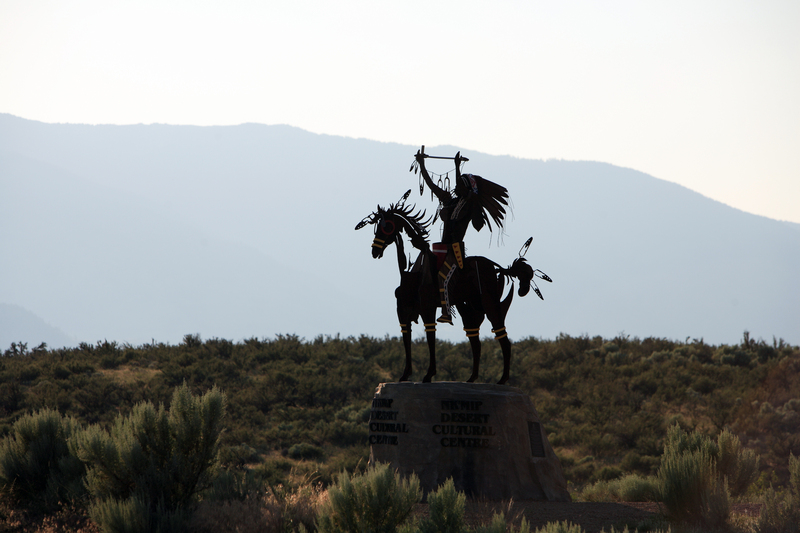 At the Osoyoos Desert Centre, you can experience the beauty of Canada’s special desert. 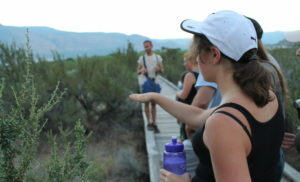 The 67-acre nature interpretive facility, a registered part of the North American Bluebird Trail, offers guided and self-guided tours through the desert along its spectacular 1.5- kilometre wooden boardwalk. There’s also an indoor interpretive centre, with hands-on exhibits and fun facts to discover about the local ecology and wildlife, and a native plant demonstration garden to explore. Trained interpretive staff and friendly volunteers are on hand to share information, answer questions, and explain what’s being done to save the unique desert habitat. 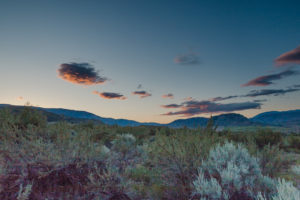 Desert Centre admissions are used to support the habitat restoration, conservation and education efforts of the Osoyoos Desert Society, a nonprofit society dedicated to saving British Columbia’s biologically-rich habitats. 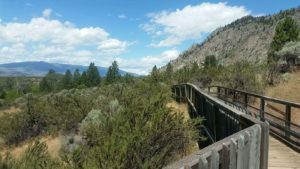 The Desert Centre, located three kilometres north of Osoyoos, is open annually from late April through early October, and features special events like Desert Night Tours. Here’s where you’ll learn about the valley’s first non-native settlers 200 years ago. Exhibits and collections trace the impact that successive waves of traders, farmers, ranchers, builders, and vintners had on the original environment and their relationships with the First Nations People had on what we are today. You’ll be able to see how the city grew from a customs post near the US/Canada border to a 21st Century town. The museum is conveniently located at the foot of Main Street and is open all year. 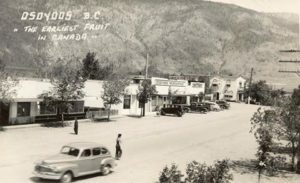 This Gallery is a hidden gem on bustling Main Street in Osoyoos. The doorway to the Gallery is almost hidden but most people who venture in, can’t believe the size of the Gallery and quality of artwork. Each room in the Gallery has a skylight letting in amazing natural light. The Gallery is an Artists Co-op of about 25 artists, mainly painters (acrylic, oil and watercolour) but also including sculptors and photographers. The Gallery is run by the artists so when you visit, there will always be an artist or two in the gallery. Often you will find the artist on duty busy painting. The Gallery also runs workshops periodically which are open to the public. In addition there a few Open House events each year as well as receptions for special shows. Don’t miss seeing this unique Gallery! 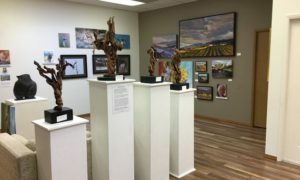 The Art Gallery Osoyoos is situated in Osoyoos, one of the most unique and beautiful towns in the Okanagan Valley, and offers original art produced by artists and artisans. The gallery features guest artists, local and non local, through out the year. 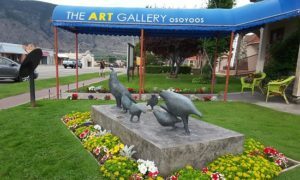 The Art Gallery Osoyoos was established in the 1990s and is a non-profit organization run by volunteers. 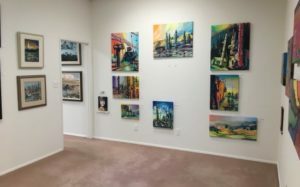 The gallery is located at the corner of 89th Street and Main Street, under the blue canopy in the Osoyoos Arts Centre and is governed by the O&D Arts Council.